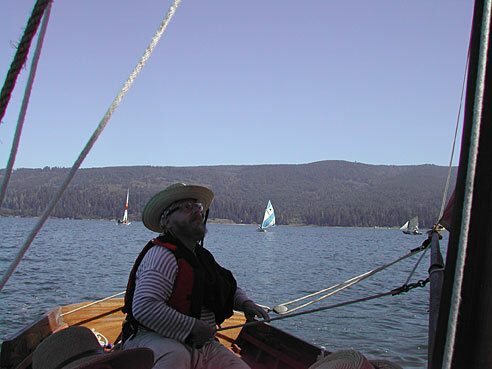 Mary and I drove up the coast, explored the interior of the mountains near Hayfork, then over to Eureka for a boating campout at Big Lagoon. 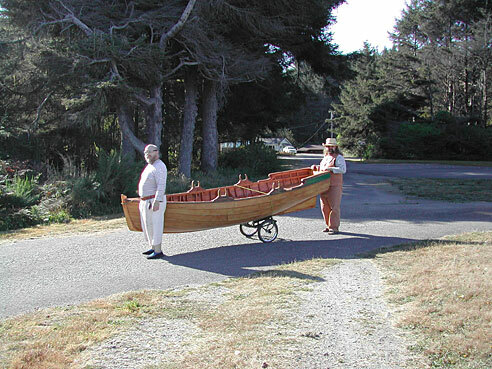 Here Harvey and I roll the Holly Bough down to the launchramp. 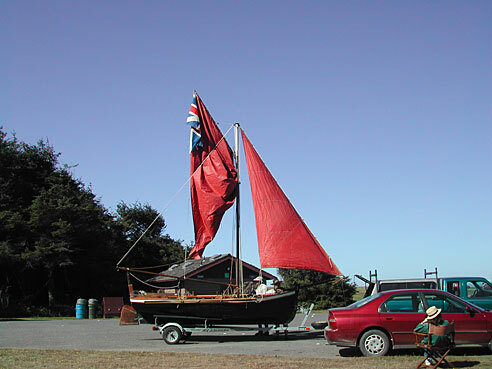 The big boat is rigged with her new suit of sails (courtesy of eBay) in the parking lot prior to launch. 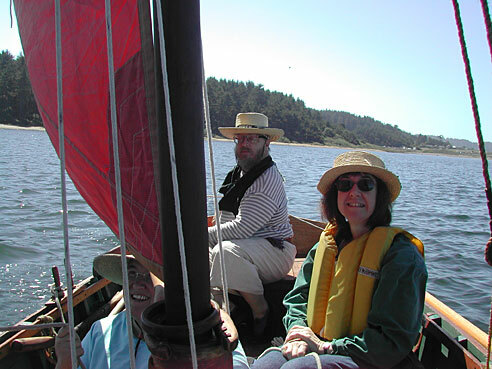 Harvey at the helm, with Mary sporting her new straw boater purchased at the Solar Living Center in Hopland. 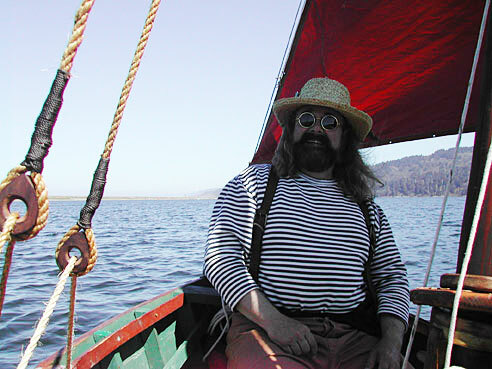 Here I am in my sailor's striped shirt, enjoying the great sailing and views of the lagoon. 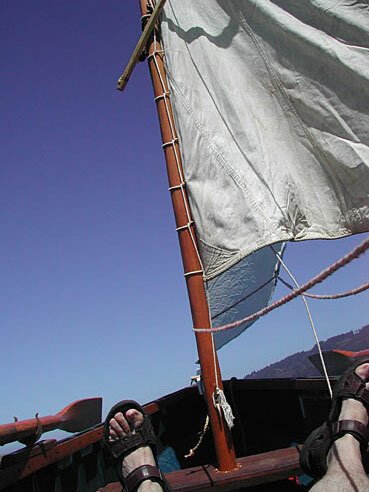 Harvey watches the new gaff rig to get the most out of the breeze. 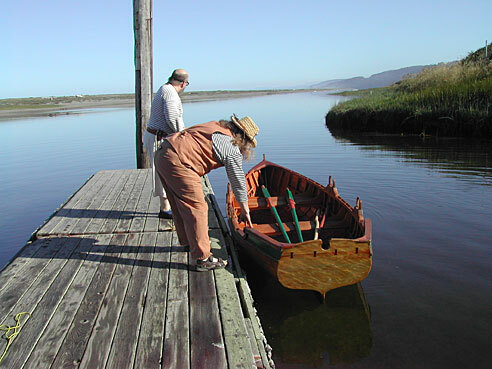 Tony launched the Possum and sailed alongside for awhile. 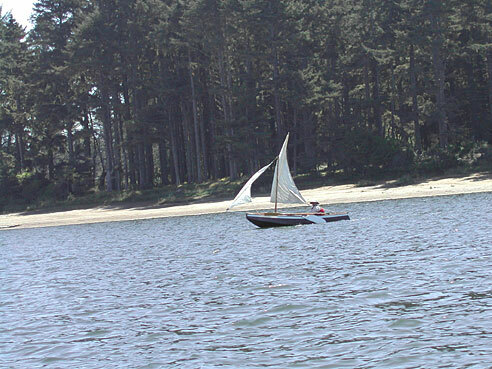 We landed and I sailed the Possum back downwind to the ramp. 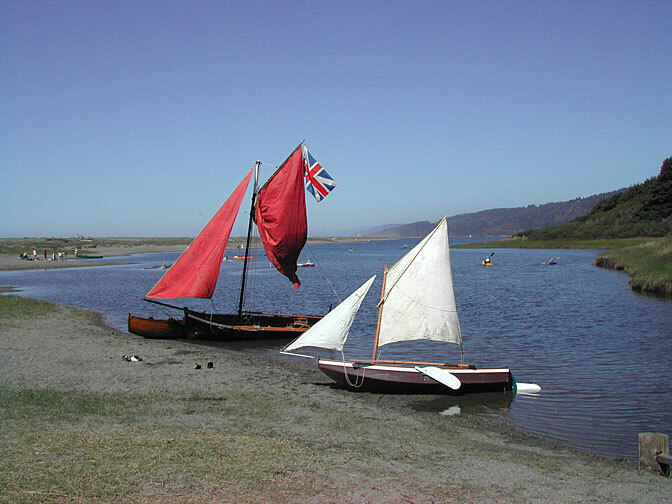 All three boats on the beach near the ramp. 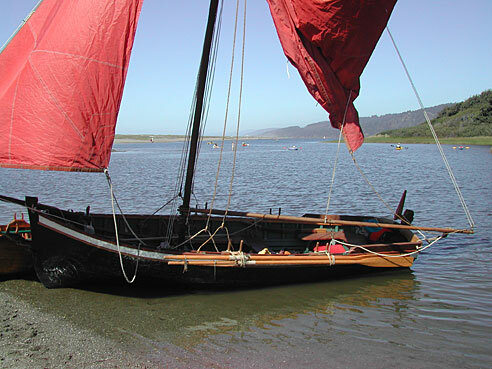 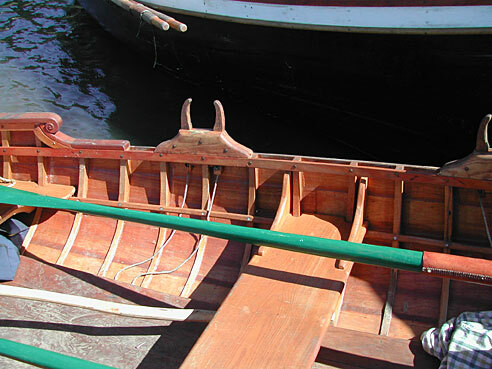 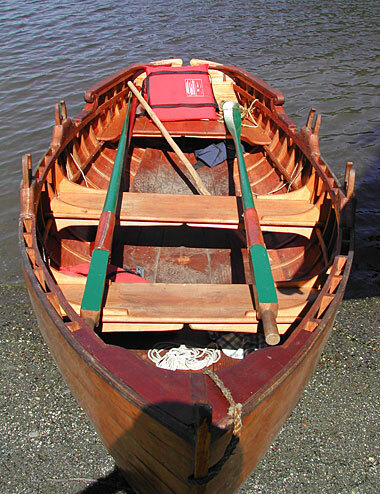 The Holly Bough is built from doorskins, covered with fiberglass, and rigged in true 19th C. fashion with removable curved tholepins. 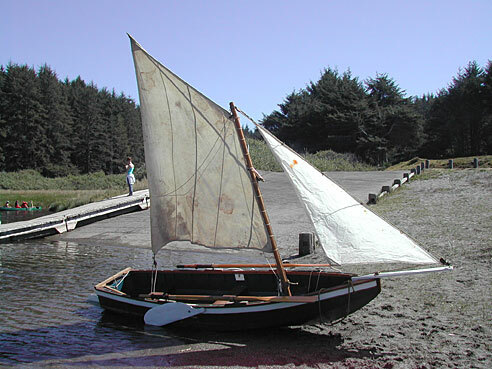 The larger boat with the mainsail brailed up to the gaff.